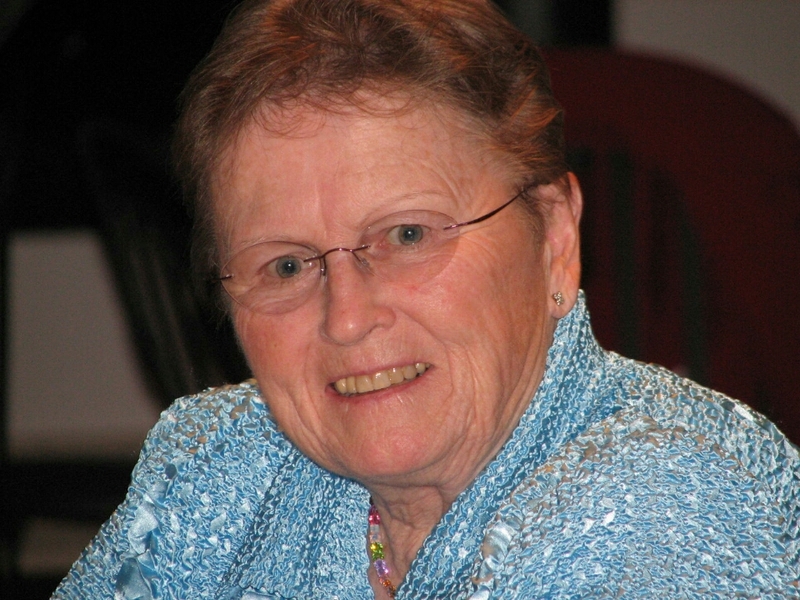 Portland - Joan L. Hutchins, 86, of Scarborough and formerly of Portland and Freeman Township, passed away on February 24, 2015. She was born in Portland on March 25, 1928, the daughter of Frank and Ethel (Murtha) Logan. She grew up in Portland, graduating from Deering High School in 1946. After high school, she attended Immaculate Junior College in Washington, D.C. before returning to Portland. She married Albert "Allie" Hutchins on September 15, 1951 and together they raised their three sons in Portland. Along with raising their boys, Joan worked closely with Allie as owners of the Hutchins Funeral Home on William Street in Portland from 1965 through 1979, which she frequently referred to as the best years of her life. They were a great team and many of the families that they served became lifelong friends. When they retired from their life in funeral service, Joan and Allie built a home on their land on the top of Foster's Hill in Freeman. They enjoyed a wonderful retirement there until Allie's death in 1991. During their time there, they developed many new friends and were involved with the greater Kingfield community. They volunteered their time with activities that centered on the children of the area and the Winter Special Olympics at Sugarloaf. They also enjoyed the time snowmobiling and cross-country skiing with their friends. She was very active in the Portland community, from volunteering with the PTA at Cummings School to helping to raise money for the Sisters of the Precious Blood on State Street, and in later years volunteering at St. Joseph's Manor and St. Peter's Church. Joan greatly valued family and friends. True joys in her life were spending summers at her family's camp on Sebago Lake with her children and her brother's family, hosting Christmas gatherings at her home, traveling to Texas to see her son and granddaughters, going to her grandchildren's events or just relaxing and spending time with the people in her life. Joan also had a love of music, especially singing, which she enjoyed doing and listening to classical music. Joan was predeceased by her parents and her husband of 39 years, Allie. She is survived by her sons; Michael F. Hutchins, Sr. and his wife Donna, Mark Hutchins and his wife Roberta, and Matthew Hutchins, her grandchildren; Michael, Theresa, Michael F. Jr., Ryan, Anthony, Alexandria and Alivia and her great-grandchildren; Nicholas, Eleanor, Nathan, Lilly, Noah, Finn, Oliver and Bernadette. She is also survived by her brother, Theodore Logan and his wife Connie, and several nieces and nephews. In addition, she is survived by her special friend, Don Tinkham. The family would like to thank the staff at Fallbrook Woods and Hospice of Southern Maine for their compassionate care of Joan during her illness.